If you’ve been pondering what to do with those pork chops in the fridge, then get the grill ready, because I have the perfect marinade. And you probably have everything you’ll need already stocked in your kitchen. 1. 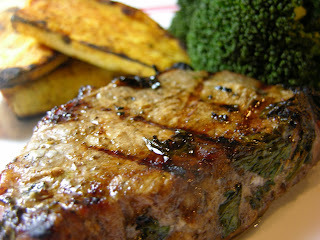 Place all ingredients in a Tupperware or Ziploc bag and add the pork chops making sure the marinade coats all sides. Chill for at least 4 hours, but overnight is even better. -When I use a Tupperware, I usually turn the chops over halfway through the process to make sure that both sides get soaked. -You probably don’t want use your fancy, $50 bottle of balsamic vinegar for this kind of thing. 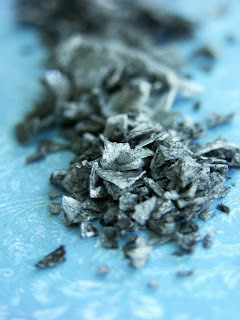 -I used Cyprus Black Lava salt (from Saltworks) just for the heck of it, but kosher salt will do just fine. Made these on Sunday. Big, big hit. Big, big fan.